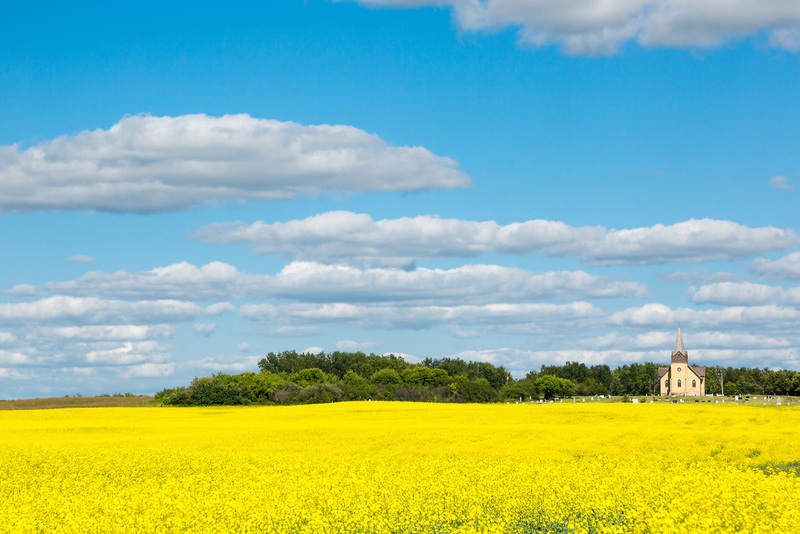 Southwest of the village of Stockholm, Saskatchewan, this historic brick-clad Gothic Revival church stands prominently amon fields of blossoming canola. New Stockholm Lutheran Church, south of Stockholm, SK. 10" x 20" photograph on paper, framed.